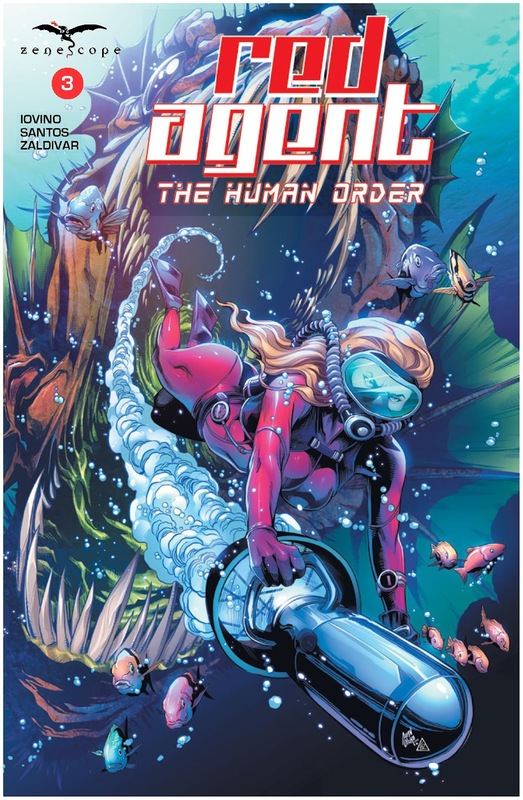 The Fellowship has obtained a first look at RED AGENT THE HUMAN ORDER #3 from Zenescope Entertainment. 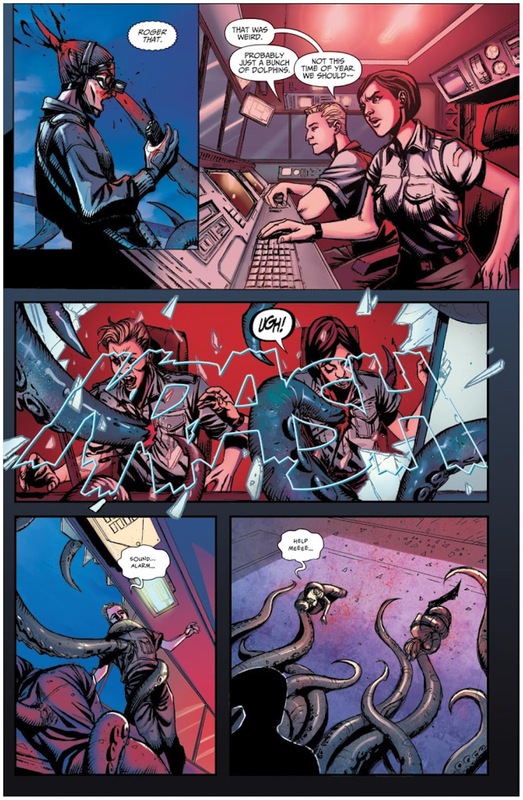 The issue, which hits stores February 1st, is written by Lou Iovino, drawn by Ario Murti, colored by Hedwin Zaldivar and Marco Pagnotta and lettered by Taylor Esposito of Ghost Glyph Studios. The world has become a dangerous place. Highborns and monsters from the Realms of Power hide in plain sight. Now the world’s leaders are looking to exploit their powers for their own gain, using them as spies and assassins for covert missions. 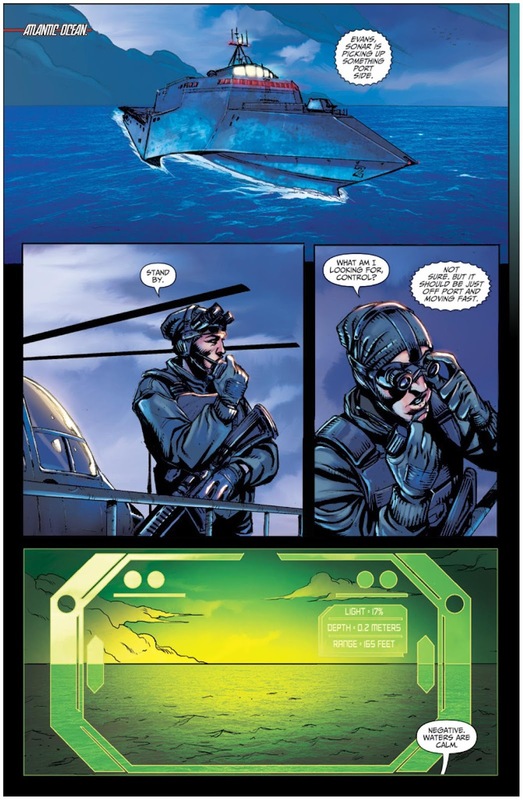 But the Highborn Initiative is there to balance the scales with their own group of super powered spies. 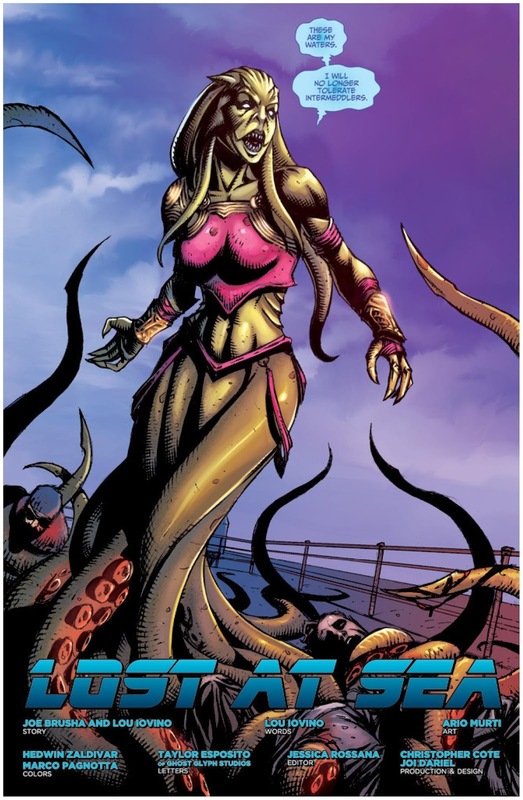 Led by Britney Waters, better known now as the Red Agent, her team travels the world battling the forces of evil that lurks in the shadowy world of espionage and secret intelligence.